Oasis Oil Tools Co., Ltd, is a famous manufacturer which integrates the research and development, design, manufacture and sell water well screens/johnson screens, oil well screens and sand control well screens, bridge slotted well screens, pipe based well screens, perforated pipe (base pipe), gravel pre-packed well screens, wedge wire screens, passive water intake screens etc. water, oil and gas well filtering products as well steel tubes and pipes and industrial parts. With imported fully automated computer numerical control equipment,Germany technology and advanced inspection methods, Oasis has developed more than 20 kinds of filtering products, the appearance and accuracy of which have a leading level at home and abroad. Our main products include the stainless steel/carbon steel/duplex stainless steel water well screens/Johnson well screens, pipe based well screens, perforated pipe, slotted pipe, bridge slotted well screens, sand control well screens,gravel pre-packed well screens, industrial filters, screen plate, passive water intake screens, water cap, resin trapper Besides, the surface of OASIS well screens can be galvanized and powder coated. 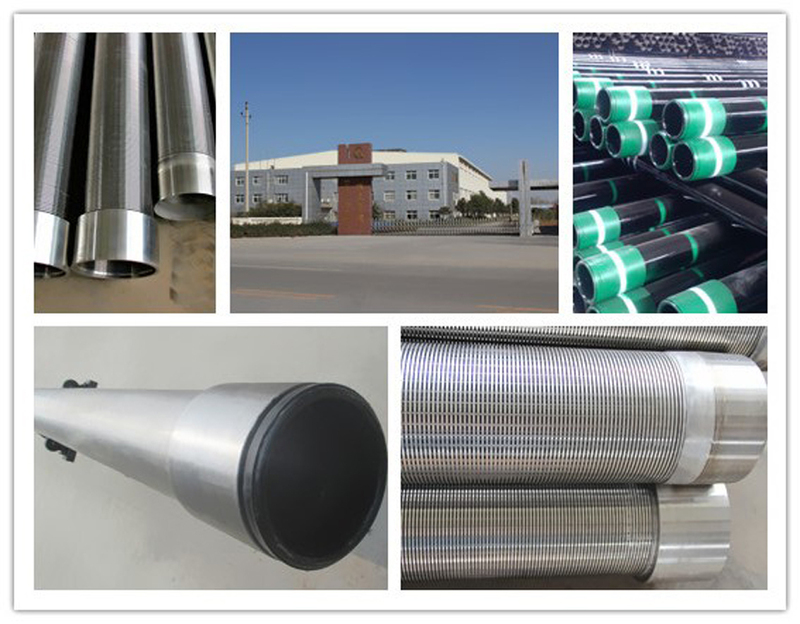 The pipe products have stainless steel pipe, carbon steel pipe, API/ISO oil well casing and related parts. Our well screens are widely applied in water well, oil well and gas well to control sand, filtering, paper making and chemical industry. Oasis has the right to export well screens independently. Our water well screens have been exported to Russia, Sudan, Tunisia, Morocco, Saudi Arabia, Slovenia, Indonesia, Philippines, Vietnam, Canada, Bolivia, Senegal, Qatar etc. countries, and have received good feedback from customer at home and abroad. Oasis person will still adhere to "A good screen makes a good well", "services to customers, satisfied with customers" business philosophy to get mutual development.